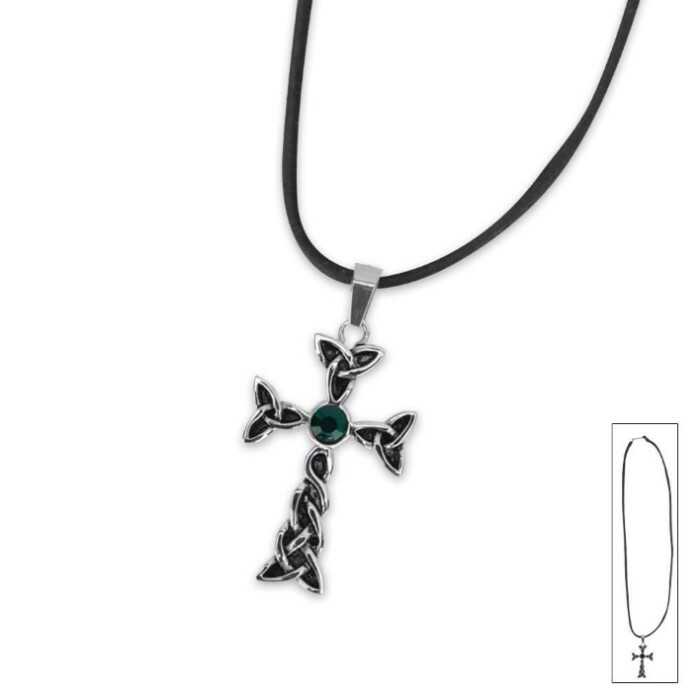 The Celtic Cross Eternity Green Gemstone necklace is a beautiful piece of artwork. The rust-resistant stainless steel cross has an eye-catching Celtic knot design. A gleaming green simulated gemstone gives it a luxurious look. A genuine leather cord that is 20" in length is included.